As countries like Bangladesh, Myanmar, Vietnam and Thailand keenly watch the outcome of the standoff at the Doklam in Bhutan between the Indian and Chinese armies; New Delhi has tasked the Indian Navy to silently spread its influence and further strengthen its grip over the Indian Ocean Region. Besides, the immediate security concern, India's stand on Doklam is also influenced by the message the outcome of stand-off will send to these neighbouring countries. For the last two and half months Indian and Chinese troops are engaged in face-off at the Doklam plateau in Bhutan. China wants to construct a road through the plateau. India objects to the road and has deployed army. For the first time ever Bangladesh - which now heads the Indian Ocean Naval Symposium (IONS) - with the help of India will be organising a large Naval exercise involving over a dozen countries. KABUL — The two top U.S. diplomatic and military officials here sought Thursday to allay confusion and concern among Afghans about President Trump’s strategy for Afghanistan, stressing American support for possible peace talks with Taliban insurgents alongside a new, open-ended military commitment. Gen. John W. Nicholson Jr., commander of U.S. forces in Afghanistan, and the senior U.S. Embassy official, special charge d’affaires Hugo Llorens, spoke at a joint news conference about the importance of reaching a settlement with the Taliban in an attempt to end the nearly 16-year war. In an address Monday, Trump focused on “winning” the war and depicted an accord as a remote possibility. Both U.S. officials were careful to avoid contradicting the president, framing their comments as additional “details” and reinforcement of his message. Along with military pressure to coax the Taliban into a peace process, the new U.S. plan for Afghanistan will support government reforms such as tackling corruption, economic development to make the country less dependent on foreign aid and diplomacy to persuade Pakistan to help—rather than hurt—the cause, top U.S. officials said in a briefing at the U.S. Institute of Peace today.Farmers working in a field in the Shibar Valley, July 2016. The farmers’ unions in Afghanistan help ensure a more reliable/diverse food supply, while also empowering its female leadership. The briefing aimed to add details to the military, political and economic plan the new administration will pursue to achieve the goal, which one official described as “a political settlement between the Afghan government and the Taliban that protects vital U.S. national security interests.” The officials spoke on condition they not be identified by name, to allow a more candid discussion. President Donald Trump deserves praise for his new, long-overdue Afghanistan policy, which was unveiled after a torturous, months-long debate. The new policy moved beyond specifying future US troop numbers to defining a larger strategic end state in Afghanistan. More importantly, the policy drew a clear distinction between America’s friends and foes and sent the right message to the Taliban and their patrons: that US commitment to Afghanistan is unwavering and that we will no longer telegraph our exit with artificial deadlines. Although many Afghanistan watchers have criticized the new policy as a status quo, it was welcomed in Kabul. Afghan leaders have especially applauded the US shift from a calendar-based approach to one based on conditions on the ground, although those conditions need to be properly defined to ensure the United States does not sign on to a forever war. More crucially, the new Afghan policy makes one striking departure from past US policies: a new approach towards Pakistan, a poster child for terrorism. The policy rightly distinguishes Pakistan as a clever adversary and not an imperfect friend, and makes clear that the United States would no longer turn a blind eye to Islamabad’s duplicity in providing sanctuary, support, and a platform to terrorists that kill American and Afghan forces. 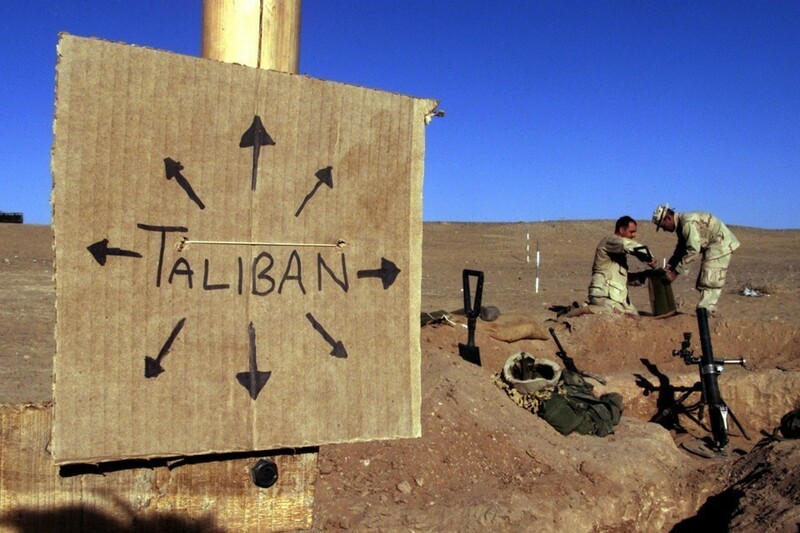 The Taliban is presently the center of gravity in Afghanistan. This is not due to the fact the group is the perceived adversary, but it is because the Taliban wields power. The insurgency in Afghanistan, predominantly composed of ethnic Pashtuns, is a physical agent performing actions that accumulate in strategic outcomes that do not favor the central government. Equally important, the insurgency is emboldened by intangible socio-cultural variables like Sunni Islamic fundamentalism, Salafi jihadism, and Pashtunwali. These intangible variables influence relevant actors and give the Taliban insurgency the capability to obtain their political objectives. After almost two decades of misidentifying and attacking centers of gravity (COGs), another insurgency strategy needs to be considered or reconsidered for the limited defeat of the Taliban hybrid threat. This article conducts an updated version of COG analysis, first on the Pashtun social system, and then on the Taliban sub-system, using revised definitions and nonlinear dynamical systems analysis. These analyses together identify vulnerabilities, and provide recommendations to change the COG, which––I argue––repairs key vulnerabilities and stabilizes the interconnected socio-political systems of Afghanistan. Ultimately, the following analysis argues for a jointly federally administered region between Afghanistan and Pakistan that maximizes native resources, accommodates cultural norms while promoting economic development, and encourages peace through semi-autonomous governance along tribal lines. In his address last Monday, President Donald Trump drew attention to something that has been too long denied or ignored by policymakers: America’s “forgotten war” in Afghanistan remains one to be fought and to be won. Trump’s speech demonstrated that he, along with his formidable national security team, understand what is at stake in Afghanistan and that the United States and our partners must confront realities on the ground as they are, not as we wish them to be. The president touched four bases in this speech, and in doing so, hit a home run. 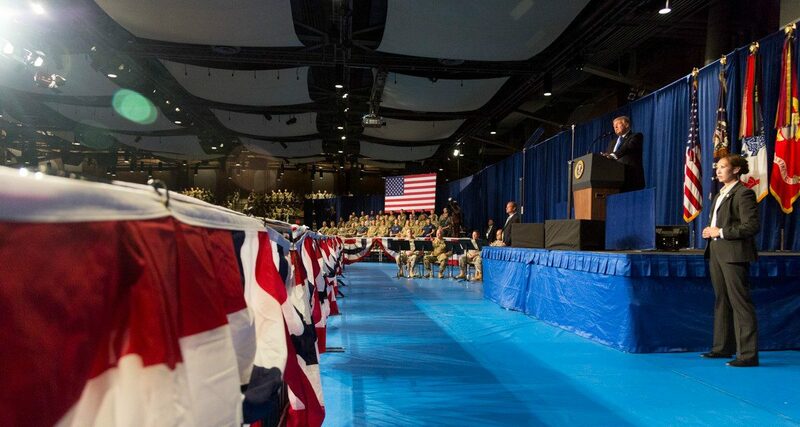 First, he acknowledged the sacrifice of thousands of service men and women in the conflict, along with many Americans’ frustrations that the war has continued for so long, seemingly without a strategic vision or an articulated end goal. Second, he made the effective case that the “consequences of a rapid exit are both predictable and unacceptable,” and that the United States must continue to support the vital security mission in Afghanistan. Importantly, he stressed that strategic decisions will be made based on conditions on the ground, not via politically motivated judgments determined by election cycles. Lying on the border with Bangladesh, with more than 100,000 internally displaced people following bouts of violence in 2012 and 2016, Myanmar’s Rakhine State is racked with communal tensions that show no sign of abating. For the Rohingya Muslims, who account for roughly a third of the state’s population but who are deprived of citizenship, access to education and healthcare is severely limited by the government. At the same time, the majority ethnic Rakhine, who are Buddhist, also face entrenched poverty after decades of neglect by government. Overall, 78 per cent of the population lives in poverty making it the poorest state in Myanmar, which is the poorest country in Southeast Asia. On June 13, 2017, news broke that Renata Lok-Dessallien, the United Nations top official in Myanmar, was being replaced. A BBC report at the time cited her shortcomings as a leader: there were tensions among her ‘dysfunctional’ team, and her approach was perceived as failing to give priority to the rights of the Rohingya. Lok-Dessallien was known for her co-operative − some say sympathetic − relationship with the government that sought to coax decision-makers into changing their behaviour, rather than the uncompromising and very public approach to human rights protection advocated by others. Her dismissal has been taken as a repudiation of her strategy. It has raised questions for aid donors and diplomats in Myanmar. Can the international community effect change in Rakhine? And if so, how could this be done in a country where the military still holds the levers of power? In 2012, China wrested control of Scarborough Shoal in the South China Sea from the Philippines. With the shoal—reefs, rocks, and a vast lagoon—located just 220 km (137 miles) from the Philippines’ main island Luzon, the incident heightened tensions and embarrassed Manila, which the following year opened a case in an international tribunal challenging Beijing’s territorial moves in the sea.So alarm bells went off earlier this month when Chinese ships gathered at Sandy Cay, a set of sandbars close to Philippines-occupied Thitu Island in the sea’s Spratly archipelago. The island has a small civilian population and a decrepit runway the Philippines has been meaning to repair. The flotilla was seen as intimidating at the very least. “China’s ongoing maritime activity around Thitu is worrisome… if the objective of the operation is to occupy Sandy Cay, that would mean a significant escalation in tension in the South China Sea. Asia has acquired yet another flashpoint it could well do without,” wrote Euan Graham, a security analyst with the Lowy Institute for International Policy in Sydney. A number of nations have claims to various features in the Spratlys. China, for its part, claims nearly the entire sea for itself, based on its infamous nine-dash line. The tribunal invalidated that sweeping claimin a nearly 500-page ruling issued in July 2016, but Beijing dismissed the legal proceedings entirely. Satellite images shared by the Center for Strategic and International Studies’ Asia Maritime Transparency Initiative, based in Washington, DC, confirmed the presence of the flotilla, which included fishing, coastguard, and navy ships. The Philippines military confirmed it as well. It’s unclear at the time of this writing whether the vessels are still present. On July 6, Taiwanese authorities charged recently-graduated Chinese student Zhou Hongxu with espionage, roughly four months after he was first detained on suspicion of spying for Beijing (Central News Agency [Taiwan], July 6). The young man, who attended National Cheng-chi University, allegedly attempted to pay a junior Foreign Ministry official with cash and travel for classified government papers (Taipei Times, March 11). In 2009 then-President Ma Ying-jeou opened the flow of people and business across the strait without consulting security officials on how to mitigate the risks. Zhou’s case is one of the first public espionage cases of Beijing exploiting the ability to send intelligence operatives directly to the island enabled by that law. Zhou’s arrest highlights the challenges President Tsai Ing-wen faces—not only from increasingly aggressive Chinese intelligence and influence operations—but also in developing more effective countermeasures absent a clear consensus of the China threat inside and outside her party. Despite Beijing’s relentless and sometimes fruitful efforts to penetrate the most sensitive parts of Taiwan’s national security institutions and society, Taiwan’s leaders have not been able to push forward a stronger legal foundation for counterintelligence. In March, Tsai’s cabinet vetoed new security regulations over legitimate concerns about overreach, and the failure of the Legislative Yuan to push forward new legislation leave Taiwan vulnerable. Without such tools, the island’s counterintelligence professionals can observe the change in scope and intensity of China’s operations but are unable to act effectively. The problem is worsened because the Kuomintang (KMT) and the Democratic Progressive Party (DPP) struggle to find common ground despite their shared interest in not allowing Beijing to decide Taiwan’s future. 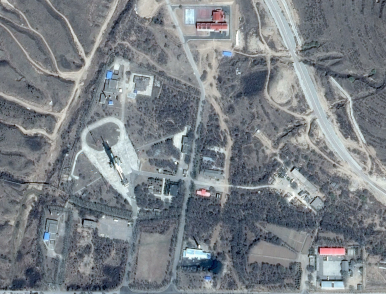 China conducts a test of its DF-4 ICBM amid heightened tensions with India. In July 2017, Iraqi Prime Minister Haider al-Abadi announced victory and the end of the “fake Daesh [ISIL] state”. But the prime minister was careful with his wording. He did not want to proclaim another “mission accomplished” in relation to a Salafi-jihadi group. Iraq has been there before: Consider the fate of al-Qaeda in Iraq in 2005, or the Islamic State of Iraq in 2008. Prime Minister Al-Abadi, according to interviews with his advisors, is well aware that the roots of the Islamic State — neglect, marginalization and corruption — remain rife and that Iraq is far from entering a post-Islamic State (ISIL) phase in this sense. The international community has fewer qualms. It is already starting to view Iraq as “post-Islamic State” to which it can apply its standardized state-building formula, including in the area of security sector reform. For one, the United States intends to supersize its train and equip efforts for Iraq’s Security Forces by expanding the U.S. Office of Security Cooperation in Iraq’s remit from the army to include civilian and police security organizations. It will have about $13 billion to spend. The announcement this week that U.S. diplomatic missions in Russia will limit issuance of nonimmigrant visas to Russian citizens was an understandable response to the Russian government’s decision to cut their staff in the country by more than half. It was also precisely the wrong move, representative of the sort of self-defeating myopia that has defined America’s Russia policy since the start of Cold War 2.0. Let’s be clear: The Kremlin actually benefits when travel to America is difficult for Russians; conversely, the United States gains through more open contact. First of all, by making the announcement on visas so publicly and with so much fanfare — presumably in an attempt to shame Moscow — Washington has handed the Kremlin a useful propaganda win. The new limits on visas are inconvenient but not absolute: The three consulates in St. Petersburg, Yekaterinburg, and Vladivostok will no longer be issuing visas, but screening interviews will still take place in Moscow after a short break. Waiting times are likely to be longer but not insurmountable. Is Russia Really Arming the Taliban? Secretary of State Rex Tillerson this week became the latest U.S. official to say Russia was supplying arms to the Afghan Taliban, calling it a violation of international norms. His remarks, which came just days after President Trump announced a new open-ended U.S. military commitment to Afghanistan, echo those of General John Nicholson, the head of U.S. and international forces in Afghanistan, and Army General Curtis Scaparrotti, commander of the U.S. European Command. Russia, which has been critical of U.S. policy in Afghanistan, has vehemently denied the accusations. But Russia’s involvement in Afghanistan is not new—nor is it happy. The most recent history dates back to the Cold War when the Soviet Union, which shared a long border with Afghanistan, invaded the country in 1979, set up a puppet government, fought a long and bloody war against U.S.-backed mujahedin, and eventually withdrew in embarrassment in 1989, a defeat that marked the beginning of the end of the Soviet Union. The Russians, wary of this intervention, had mostly stayed away from Afghanistan following the U.S.-led invasion of 2001, but in recent years have reached out to the Afghan government, the Taliban, Pakistan, and China in an attempt to cement Russia’s influence in the country as a counterweight to the U.S.
AI has moved from the movies to the laboratory, and governments around the world want it in their arsenals. We asked how militaries define it, and how they intend to keep it under control. How are militaries around the world using AI? What about AI worries the Pentagon? In his counter-review of Christopher Nolan’s film, Dunkirk, Patrick Porter raises one important issue: What is the relationship between art, collective memory and national identity? The question is especially pertinent at a time when the United Kingdom is going through an identity crisis following Brexit. But, as recent events in Charlottesville show, it is equally relevant in the United States. In the face of geo-political ruptures and the re-configuration of internal class, gender, ethnic, and racial orders, the question of how a nation should define itself and its past is increasingly contested and problematic. Despite his imputations, Porter and I share a common view of British nationalism in the era of Brexit. Especially as the United Kingdom leaves the European Union, an inclusive and expansive national identity will be required. Brexit has radically accentuated existing fault-lines within the United Kingdom, bringing its collapse closer than ever in its 300-year history. It is by no means certain that the union will survive Brexit. Israel has begun an experimental program to see whether women should be allowed to fight in tanks. The move comes as Russia has decided to allow women to pilot military jets, and the U.S. Marine Corps graduated its first female armor officer in April. The Israeli project is using female soldiers who just finished their basic training. “For the past two weeks, 15 women have been participating in the program, testing their ability to operate tanks, including lifting shells, loading them, driving and firing,” an Israeli military spokesman told the Jerusalem Post earlier this month. However, the Israel Defense Force test is also notable because of what it is not. Rather than mixed-gender crews, the tanks will be operated by female-only crews. The IDF has also said that the female-only tanks will not be committed directly into combat zones, but rather will be used for border security. Why is the IDF considering women as tankers? The answer is not feminism but desperation. “The Armored Corps, in recent years, has become one of the least popular units for recruits because it is said to have the worst service conditions and fewer weekends off than other corps,” the Post pointed out. The shift from slo mo — counterinsurgency operations — to high intensity combat is a major challenge for the US military and its allies. It is a culture shift, a procurement shift and an investment shift. But mobilization is even more important than modernization. To get ready for this shift, our weapons inventory needs to become more robust. In visiting US bases, a common theme we hear is the challenge of basic inventory shortfalls. The Trump Administration came to power promising to correct much of this. But there simply is not enough time and money to do readiness and training plus ups, mobilization and rapid modernization. As a businessman, Donald Trump might take a look at how the Pentagon actually functions as an effective business in equipping the force. Having highlighted the question of allied spending, he might be pleased to learn of significant allied investments in new combat systems which his own forces can use, saving American taxpayers money and enhancing our military effectiveness at the same time. The Air Force is looking for the next generation of Very Low Frequency communications to maintain contact with its ICBMs and bombers. In particular, the Air Force wants to address the problem that different strategic forces use different communications systems. For example, the Air Force has different "VLF/LF receiver variants for its bombers, wing command posts, strategic mobile command posts and the intercontinental ballistic missile systems," notes the Air Force solicitation. So the Air Force is searching for receivers, antennas, and waveforms that will create a common communications system between Air Force B-52s E-4Bs, B-2s, future Long Range Strike Bombers, tankers, Wing Command Posts, ICBM Control Centers and Navy E-6Bs. The goal is a "survivable, endurable, and secure-only VLF/LF terminal that offers near-worldwide coverage for nuclear C2." Projected funding for the project is $4.4 million. In particular, the Air Force is seeking white papers from industry and academia on whether there have been useful advancements in four aspects of VLF technology: VLF receivers, VLF antennas, VLF propagation and waveform modes, and modifying legacy software. More than one-quarter of a panel tasked with advising the Homeland Security Department on cybersecurity and infrastructure protection resigned en masse Monday, citing President Donald Trump’s “insufficient attention” to the nation’s cyber vulnerabilities, among other complaints. Resigning members of the National Infrastructure Advisory Council also cited the president’s failure to single out neo-Nazis and white supremacists for condemnation after a violent protest earlier this month in Charlottesville, Virginia. “The moral infrastructure of our nation is the foundation on which our physical infrastructure is built,” the council members stated in a group resignation letter. The resignation letter, obtained by Nextgov, also cites Trump’s decision to withdraw from the Paris climate change agreement and to revoke building standards related to flooding risk. “Your actions have threatened the security of the homeland I took an oath to protect,” the letter writers tell the president. The resignations come after Trump disbanded two business advisory councils earlier this month following a wave of resignations by chief executive officers. Those CEOs similarly condemned Trump’s response to the violence in Charlottesville. The tragic U.S. Navy incident of the USS John McCain earlier in the week has raised several questions about the cause. Many are wondering if it was more than human error given this is not an isolated incident. 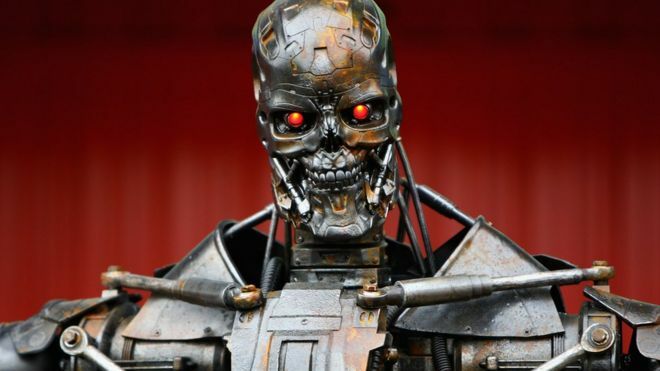 More than 100 of the world's top robotics experts wrote a letter to the United Nations recently calling for a ban on the development of "killer robots" and warning of a new arms race. But are their fears really justified? Entire regiments of unmanned tanks; drones that can spot an insurgent in a crowd of civilians; and weapons controlled by computerised "brains" that learn like we do, are all among the "smart" tech being unleashed by an arms industry many believe is now entering a "third revolution in warfare". "In every sphere of the battlefield - in the air, on the sea, under the sea or on the land - the military around the world are now demonstrating prototype autonomous weapons," says Toby Walsh, professor of artificial intelligence at Sydney's New South Wales University. "New technologies like deep learning are helping drive this revolution. The tech space is clearly leading the charge, and the military is playing catch-up." 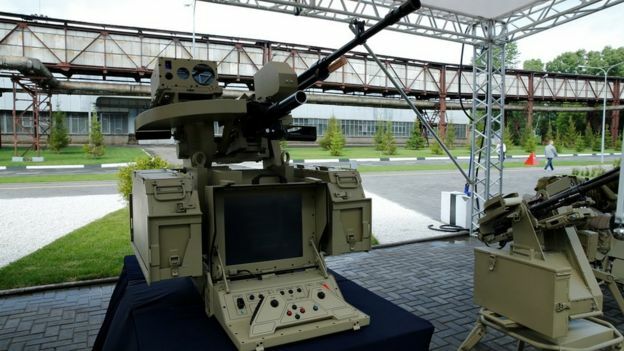 One reported breakthrough giving killer machine opponents sleepless nights is Kalashnikov's "neural net" combat module. It features a 7.62mm machine gun and a camera attached to a computer system that its makers claim can make its own targeting judgements without any human control. However, the rapid expansion of space use has also created a problem that could threaten the ability of all countries to effectively utilize Earth’s orbit. That problem is space debris. 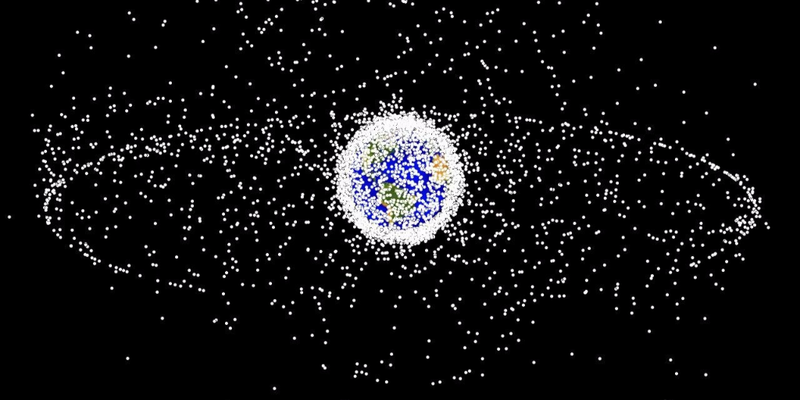 Currently, the United Sates and international agencies track almost 23,000 objects of uncontrolled space trash. Yet this is just a fraction of the estimated 750,000 pieces of smaller untracked debris, which still pose a significant threat to both unmanned satellites and the human crew of the International Space Station. As SpaceX proposes an ambitious “mega-constellation” made up of over 4,000 new satellites to beam internet connection from low Earth orbit to billions around the globe; collisions, excess launch debris, and even space-based military operations like the Chinese kinetic anti-satellite weapons test in 2007 continue to spew new debris into orbit. If left unaddressed, this space junk could make parts of Earth’s orbit partially or even completely unusable. President Trump came to office believing that there are no great strategic issues that divide Russia and the United States, that there is no longer a great rivalry between them: Russia is not the superpower the Soviet Union was, having lost most of its population, all of its satellites and what was left of the mystique of Communism. He came to office believing that some rapprochement should be possible. The only serious problems were in Ukraine, which Russia fails to accept as entirely independent, and in Syria, where all agreed on the unacceptability of Islamist extremist movements, particularly ISIS, but the Russians and Iranians supported the Bashar al-Assad regime and the United States and its tepid European allies supported secular opponents of Assad and ISIS. The American response to Russia became entangled in its relations with China and with the Western alliance that had been largely allowed to crumble under George W. Bush and Barack Obama. Trump’s initial conception was to put pressure on NATO to become an alliance again, rather than a bunch of free riders in search of an American military guarantee, and to persuade the allies to pay their way; then to roll back the excessive concessions that had been made to Russia by Obama, especially the deferral of antimissile defenses for western Europe. The next stage in the sequence was effectively to trade Russian acceptance of the complete independence of Ukraine, and the Baltic and Caucasian former Soviet republics, in exchange for an end to sanctions and the Russian retention of Crimea and the sections of Georgia that Moscow seized in 2008­—Abkhazia and South Ossetia. Trump would not attempt to incite democratic protests in Russia, and Russia would refrain from attempting to influence U.S. elections. Social media has grown into a disruptive technology that must be considered by militaries and governments. Technological innovations that become disruptive can go unnoticed at the time of their emergence. In hindsight, it may seem obvious they would result in fundamental changes. 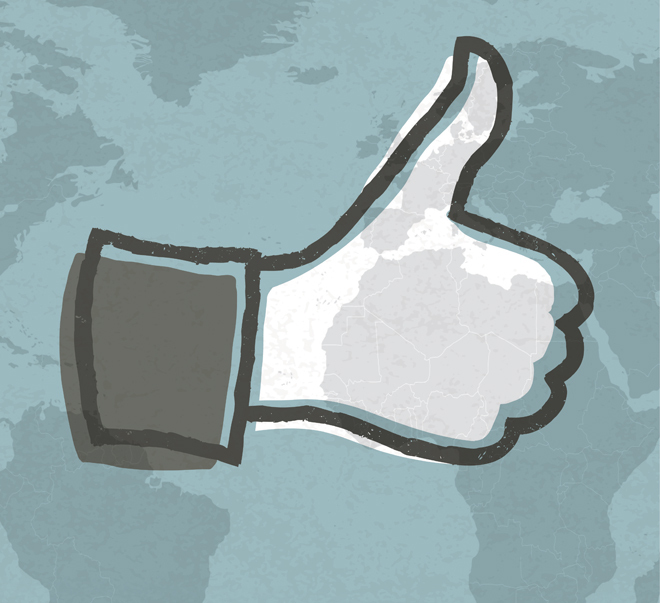 Most recently, social media platforms such as Facebook, Twitter, Instagram, and chat boards—originally intended as means of communication for use by the public—have evolved into platforms for advertising, political messaging, and the coordination of social movements. Prior to the advent of social media, public political dialog was limited to traditional media—print, radio, and television. Use of these mediums was limited through legislation and the requirement for large initial and continuing capital output, resulting in a small number of individuals or organizations controlling the messaging and the resulting dialog. People may have had views or opinions other than those voiced in the media, but their ability to find, communicate with, and provide support to others with the same views was limited. In addition, it was difficult for a foreign state actor to set or influence the dialog in a meaningful way without risking exposure. China’s internet censorship is getting tougher and more comprehensive every day. 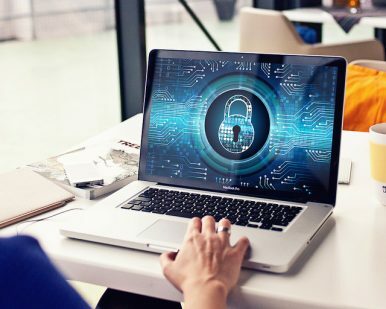 On August 25, China’s top internet regulator announced new rules to manage internet forums and communities, forbidding unidentified netizens from posting anything on internet platforms. The new rules will become effective on October 1. As The Diplomat has been following, since Chinese president Xi Jinping took office, China has been systematically increasing online control, and 2017 has witnessed the most fierce wave of internet censorship yet: Banning VPNs and independent multimedia contents, demanding international publishing houses such as Cambridge University Press remove specific content, punishing China’s top three internet giants for failing to manage their online platform properly, to name just a few. The new regulations cover all online forums, communities and any other platforms that provide interactive communication.